General Howell M. Estes, Jr., was a command pilot and first commander of the Military Airlift Command (MAC). 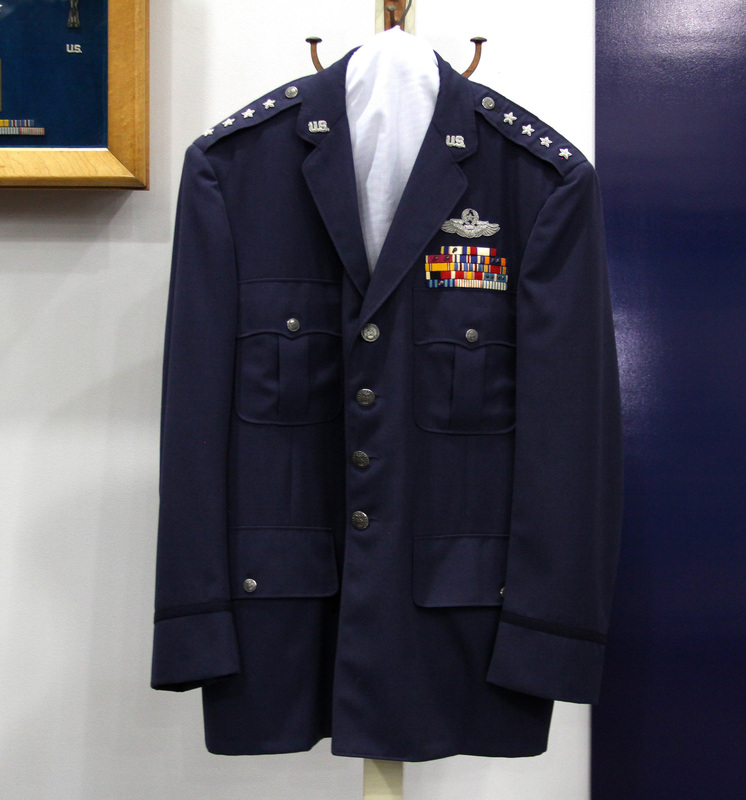 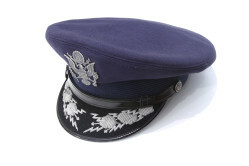 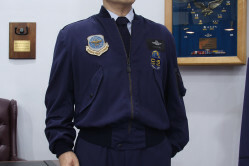 His blue service coat has general’s stars, U.S. collar insignia, and command pilot wings made of silver bullion wire. 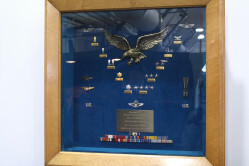 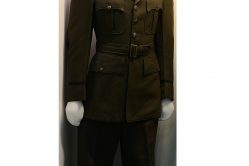 His ribbon bar contains 14 ribbons–the highest is the U.S. Air Force Distinguished Service Medal with oak leaf cluster.